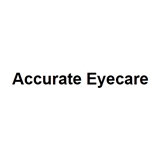 Accurate Eyecare (Paramus) - Book Appointment Online! Dr Chang is an amazing doctor! She is incredibly knowledgeable and thorough. My whole family sees her for eye care. Her diagnosis has always been spot on, and as a mother, I am grateful that we are in safe hands. I would highly recommend her to anyone looking for a top-notch eye doctor!